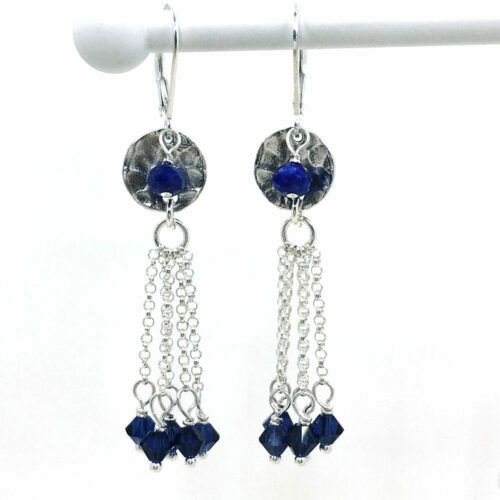 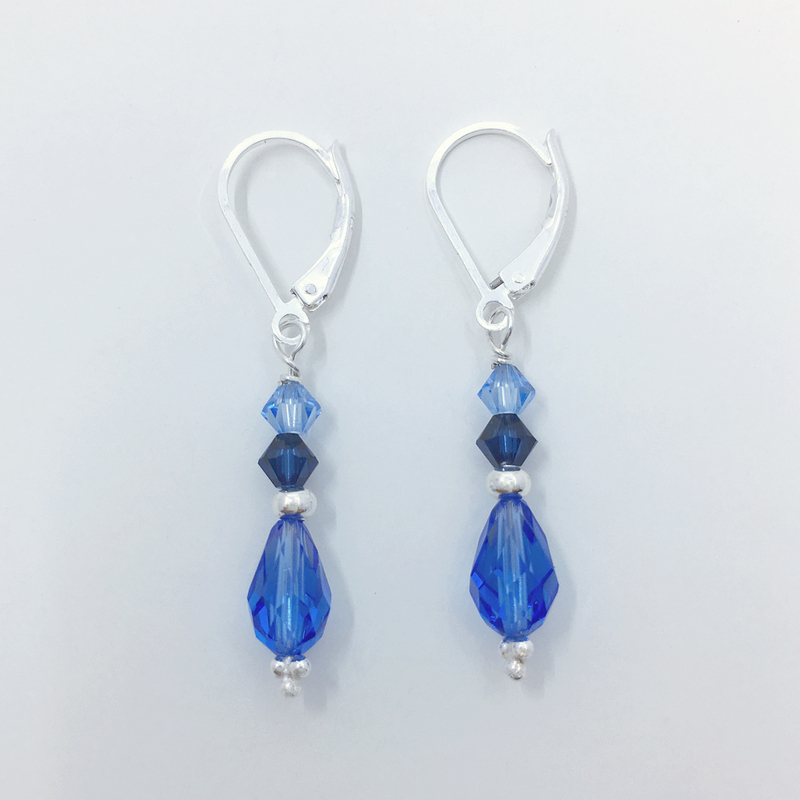 The celestial hue of lapis and rich tones of dark sapphire crystals unite to form this sophisticated dangling earring. A great gift for September birthdays! 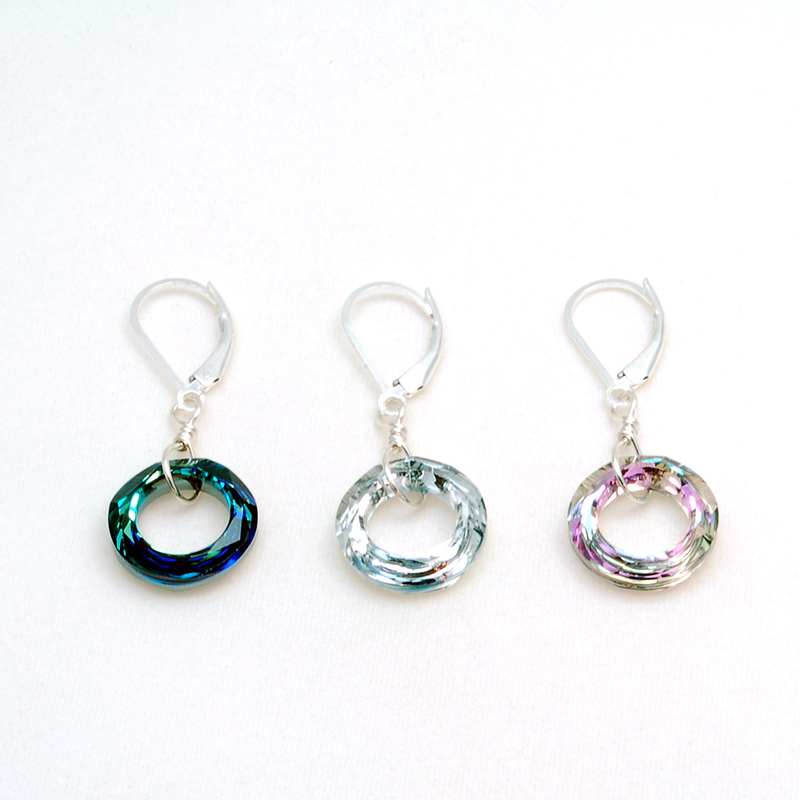 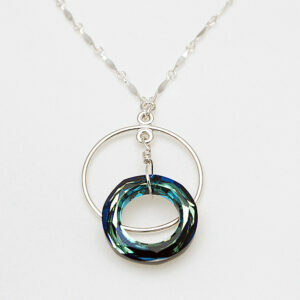 Dangles approximately 1 1/2″ from the bottom of the sterling silver lever back ear wires.